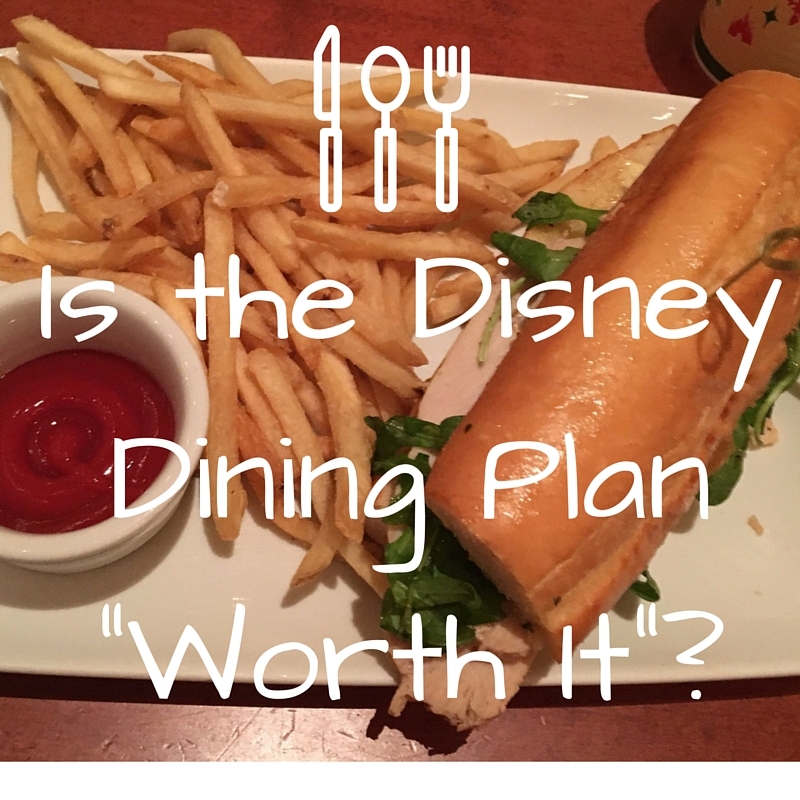 When you get the Dining plan or Quick Service dining plan you want to make sure you are getting a good value for your money. But cost can’t be the only factor. You will want to make sure you are checking out the menus to verify that you are choosing a restaurant menu that will appeal to your party. 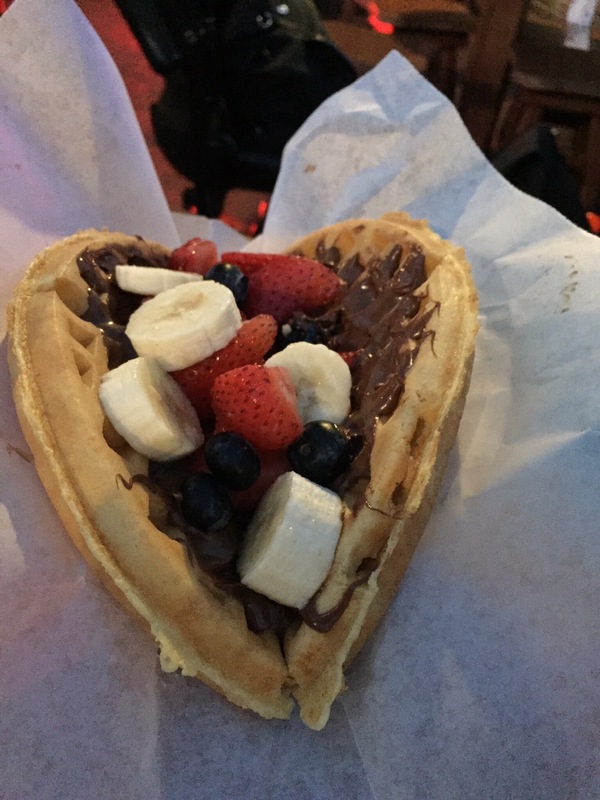 This isn’t a comprehensive list but some suggestions for great eats! 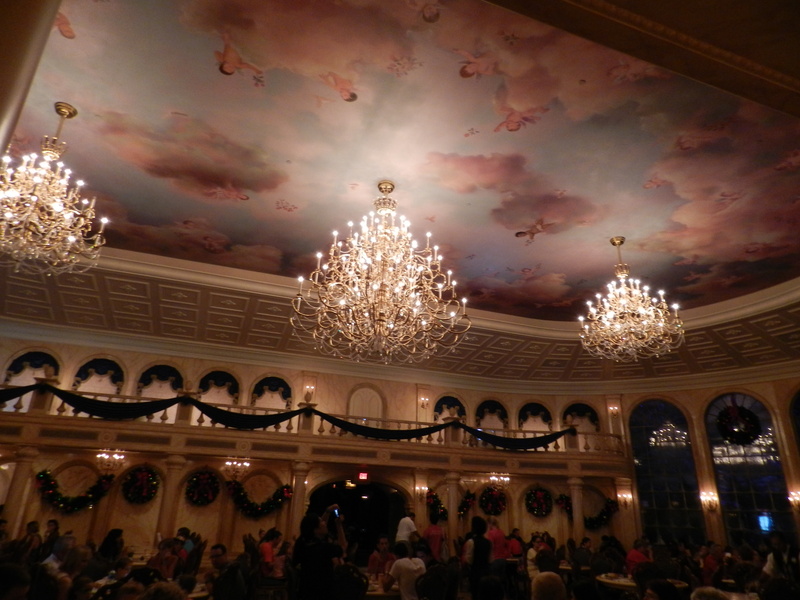 Be Our Guest for lunch is a fantastic choice based on the location, amazing atmosphere and the food. The food is similar to the dinner offerings but all at one quick service dining credit. Located in Magic Kingdom’s Fantasyland you will be immersed in the Beast’s castle and can choose from three different rooms to sit in. This restaurant is like no other. First of all it does require reservations for the quick service. Next you order solely from a kiosk and then get your “rose” and find a spot to sit. Your food will be delivered to your table. 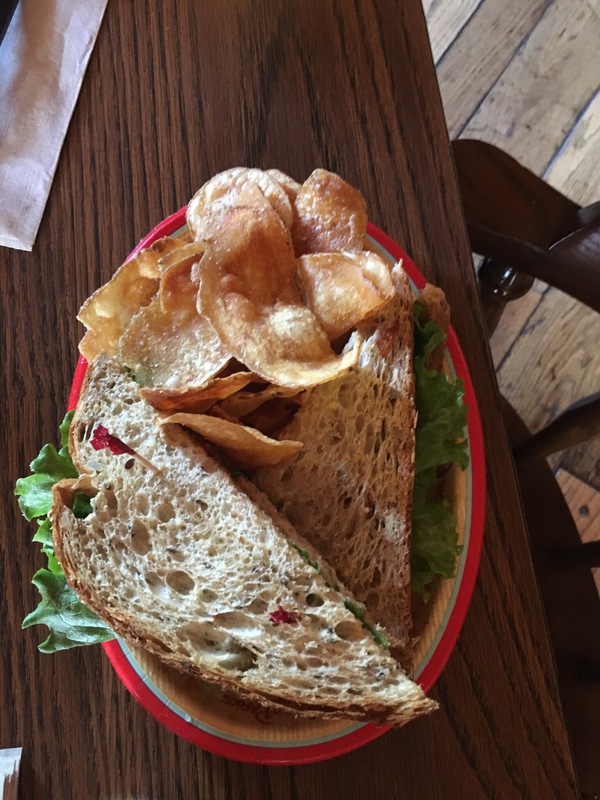 You can check out my lunch review here. Wolfgang Puck Express located in Disney Springs is another amazing choice for a quick service meal, lunch or dinner. Similar to Be Our Guest, you will have your food delivered to your table. This food is pretty amazing, we recommend the mac and cheese and the bacon wrapped meatloaf. Check out this review for more information! Sunshine Season in the Land pavilion in Epcot is a delicious option with seasonal foods grown right there in the Land Pavilion! Plus the amazing strawberry shortcake is always worth getting. This location is also ideal if you need to fuel up before waiting in line for Soarin’ Around the World. They serve breakfast, lunch, and dinner so any time the mood strikes you can check out this quick service restaurant. This restaurant has some amazing choices like Oak grilled salmon, slow roasted pork chops and Mongolian beef. 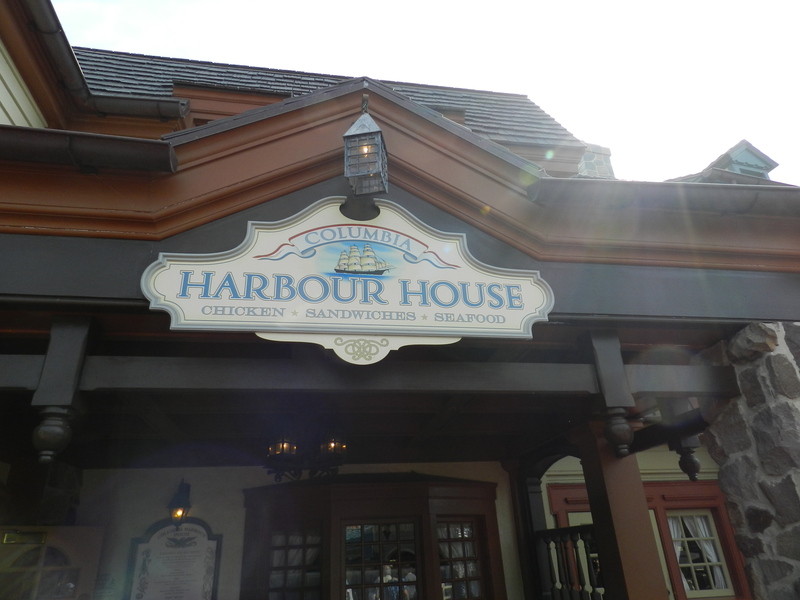 Columbia Harbour House located in Liberty Square in the Magic Kingdom is a fantastic option for a healthier lunch or dinner with many options. 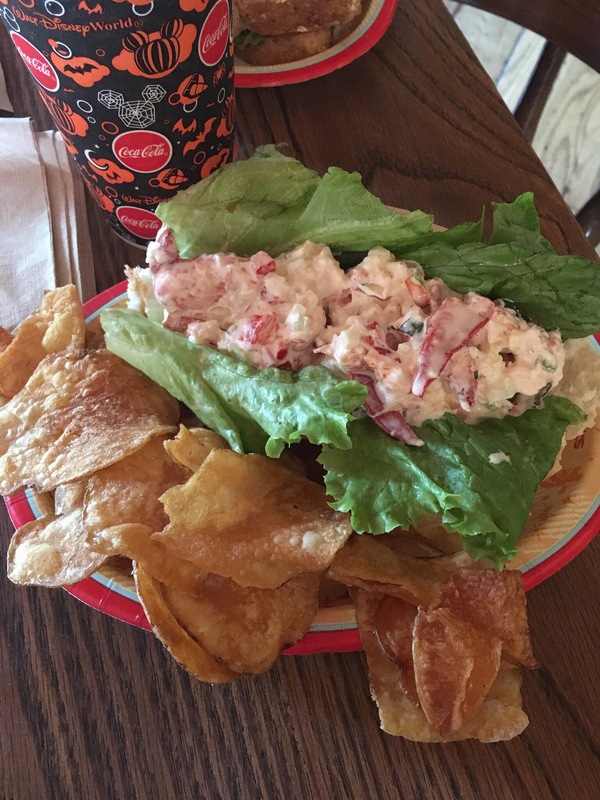 Some of the most popular options are the Lobster Roll, chicken pot pie, Lighthouse sandwich, clam chowder, and broccoli peppercorn salad. You cannot beat the location and people watching if you head up to the second floor seating. Flame Tree Barbecue in the Discovery Island area of Animal Kingdom is probably one of the best quick services values. You can get more than just barbeque here though, some choices are ½ a chicken, ribs & chicken combo, smoked turkey sandwich, full slab of ribs, and roasted chicken salad. Landscape of Flavors is located at the Art of Animation resort is an awesome choice with unique and adventurous flavors. 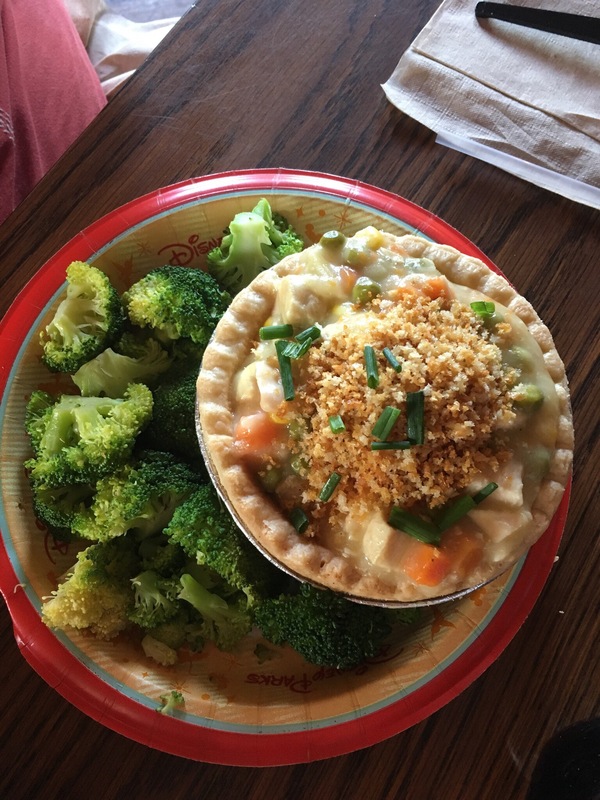 You can get things like curry chicken, beef stirfry, create your own pasta or pizza, burgers, soup, and salad. Yep, that is a lot of choices in one restaurant! Pecos Bill Tall Tale Inn and Café in Frontierland in Magic Kingdom is another fantastic choice. If you love tex-mex food this is the place for you. It is similar to Qdoba or Chipotle where you can get a rice bowl, fajitas, or burritos and then step up to the fixins bar to doctor up your dinner. Capt. 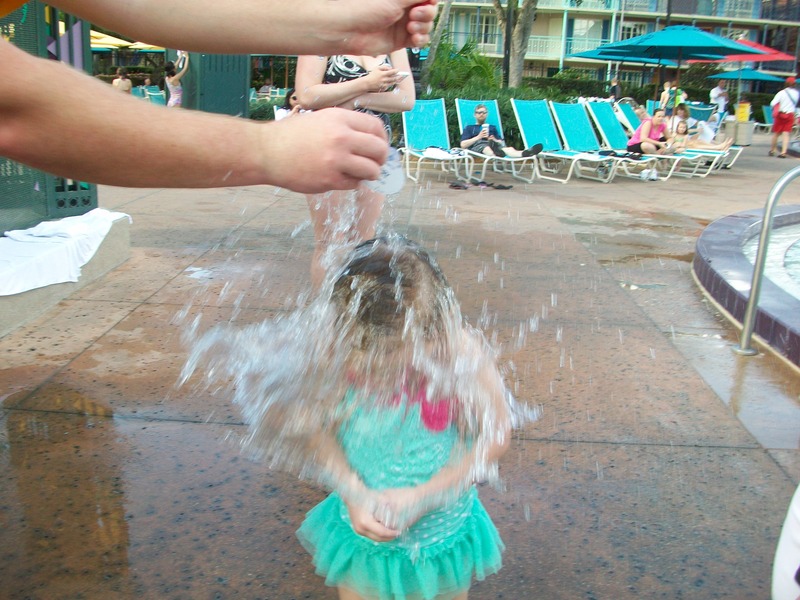 Cook’s in the Polynesian Village Resort is perfect for breakfast, lunch or dinner. 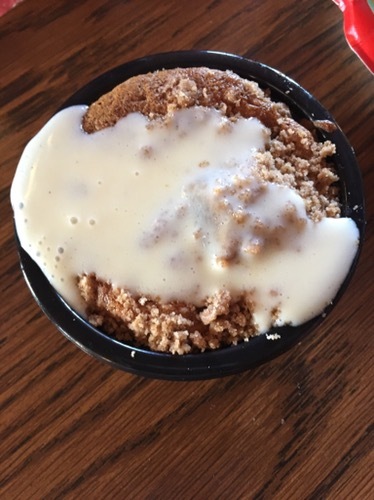 You can get the famous Tonga Toast for breakfast or the pulled pork nachos for lunch and dinner. 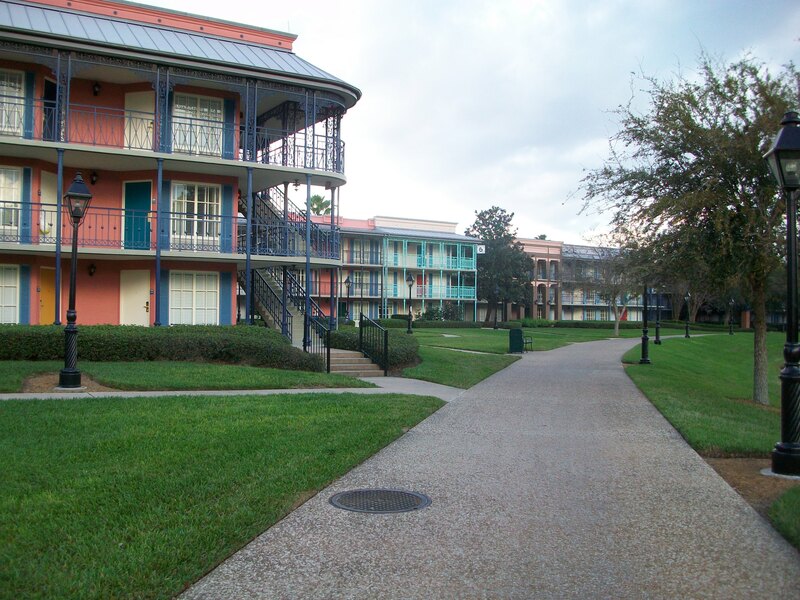 This location is great whether you are staying at the Polynesian or just visiting from the other monorail resorts or want a break for the parks. The menu has variety and is a pretty good value. 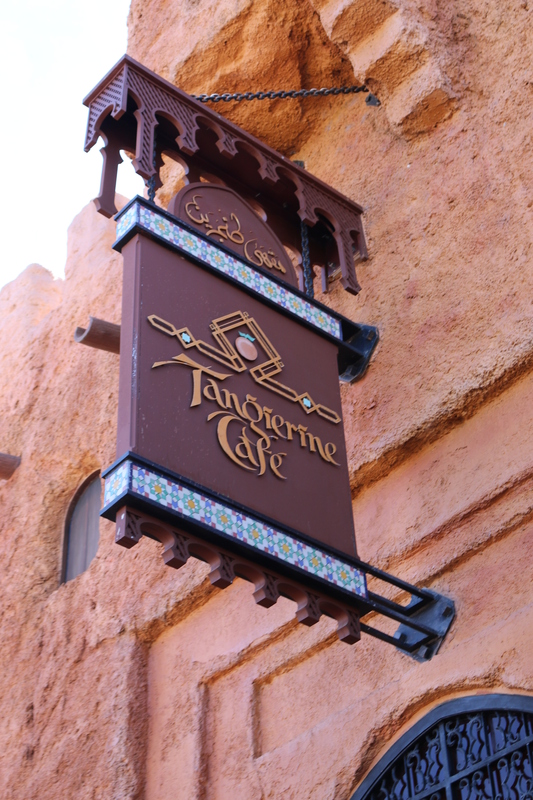 Tangerine Café located in the Morocco pavilion in Epcot is a cool choice for lunch or dinner. They have many unique offerings such as Mediterranean chicken wrap, shawarma chicken or lamb platter, lamb wrap, and kefta sandwich. Plenty to choose from for the adventurous palate. If you have a suggestion to add let us know! We are always looking for great values and interesting menus! I had the opportunity to try Gaston’s Tavern on my recent Disney visit and I have to say, I was pleasantly surprised. This little quick service nook is hidden away in the back of Fantasyland in Magic Kingdom. You have to walk past Be Our Guest and it’s tucked away there on the left. It’s a small place with only a few tables and chairs, but if you can find your way in there, it’s worth the walk. The menu includes chocolate croissants, warm cinnamon rolls, and fresh fruit. 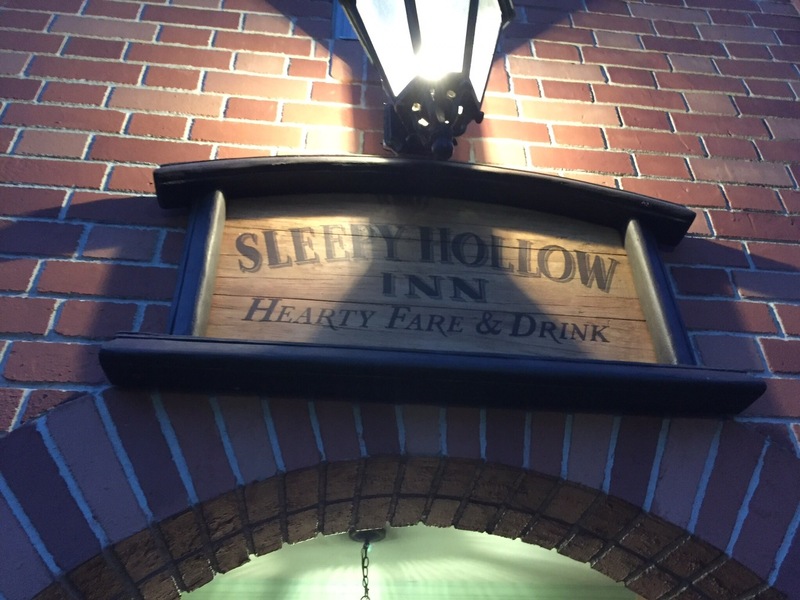 The day I visited was a nice sunny day, not too warm, so I decided to have the Tavern Beef Stew ($9.99). It’s served piping hot with a generous portion of baguette for dipping. I have to say, as someone who loves beef stew, my expectations were low. I was pleasantly surprised by how good the stew actually was! The beef was nice and tender and the broth was seasoned well. The potatoes could have used a bit more cooking time as they were not quite as soft as I would have liked, but that didn’t really bother me. The baguette was crunchy on the outside and soft and fluffy inside. I washed my stew and bread down with a Le Fou’s brew which I will review in a future blog post so stay tuned for that! Overall, I highly recommend trying the Tavern Beef Stew at Gaston’s Tavern. You won’t be disappointed! 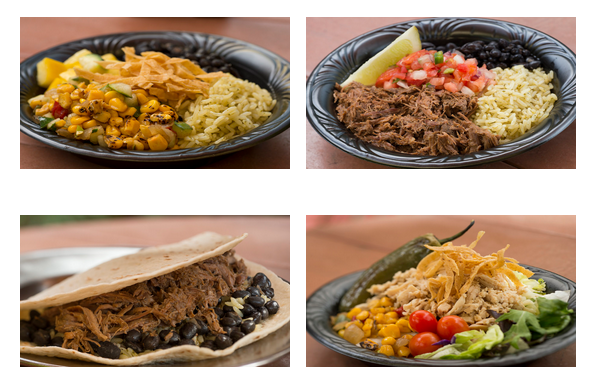 You may or may not have noticed that Pecos Bill, a quick service restaurant inside Magic Kingdom at Walt Disney World, has a new, updated menu. In my opinion, it’s a bit like Disney’s version of Chipotle. You can now choose from chicken, veggie, or beef rice bowls, as well as beef or chicken fajitas, beef or chicken burritos, or Southwest Salads with either chicken or beef. They also offer Chicken Enchilada soup or chips as sides. The Fixin’s bar is still there with some new peppers and sauce offerings as well. For dessert, try the mini churros with chocolate dipping sauce, or sopapillas. If you get a chance to try it, let us know what you thought! Did you like the changes? In the final installment of the “Beyond Burgers and Fries” series, we explore counter service options at Epcot! I think we saved the best for last, but it is kind of a cheat. With all the amazing counter service options at Epcot you’re actually going to be hard pressed to find that burger and fries. If you have a picky eater in your family and you’re looking for a quick burger, it is an option at the Electric Umbrella. 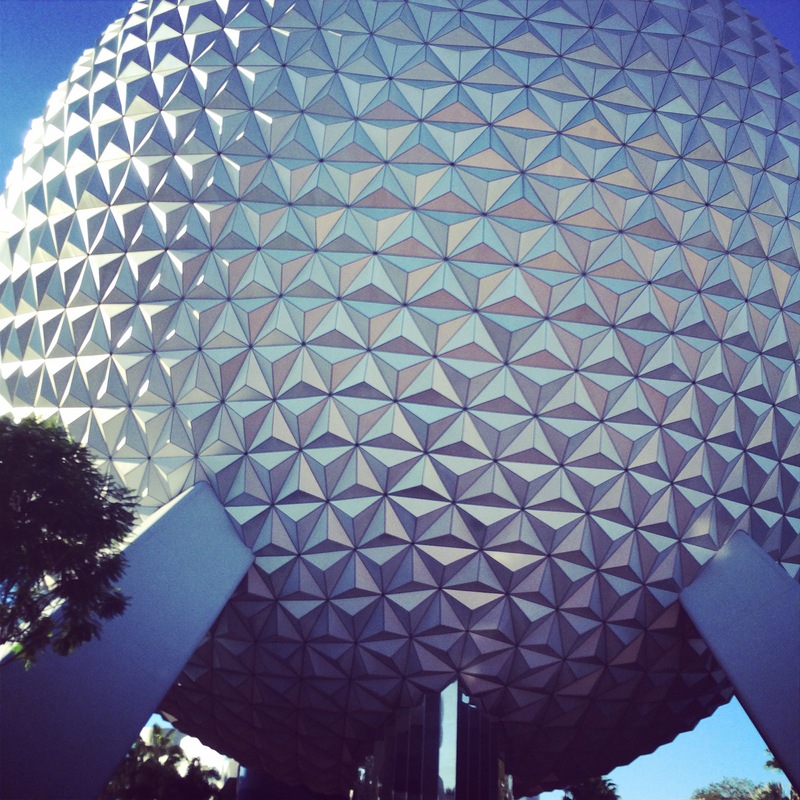 But for the more adventurous eaters in your family be sure to check out some of the best rated options in Walt Disney World at Epcot. Sunshine Seasons: Sunshine Seasons is recognized across the internet in many “Top 10” or “Best” counter service meals in Walt Disney World and for good reason. Boasting a large menu with soups and salads, sandwiches, wood fire grilled options and many choices with Asian flare there is a lot to choose from. Sunshine Seasons also has one of the most extensive dessert lists with options from their bakery section. One thing to note is that, like Cosmic Rays, there are different bays to order from for their different options. A family will often have to split up to order their meals and plan a meeting place, so be aware of this! Because of it’s fresh, unique, delicious options Sunshine Seasons is a do not miss quick service at Disney, not just Epcot. If you make your FastPass for Soarin’ (located in the same building as Sunshine Seasons) in the lunchtime range you’ll have a great afternoon for sure! Tangerine Cafe: Tangerine Cafe is another quick service restaurant that is often listed on “must have” lists in all of Disney World, not just Epcot. Tangerine Cafe is located in the Morocco pavillion, between France and Japan in the World Showcase. Famous for their schwarma platters (chicken, lamb or a combo with both), chicken wraps and Mediterranean sliders combo, Tangerine Cafe is a great introduction to truly authentic Moroccan food if you’ve never had a chance to try it. Oh, and don’t forget to try one of their alcohol slushies if you’re “Drinking Around the World”, they come in strawberry and tangerine and are perfectly refreshing. 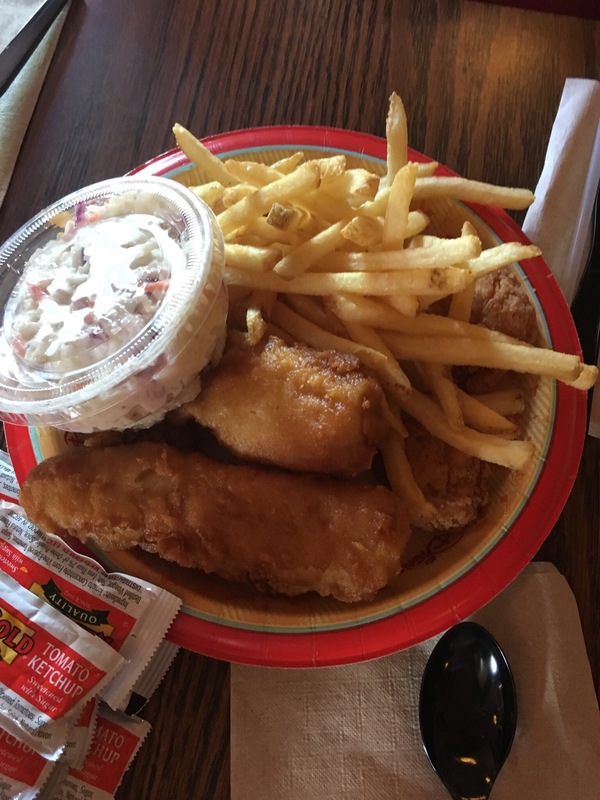 Yorkshire County Fish Shop: If you’re a fan of fish and chips Yorkshire County Fish Shop is the best place to grab yourself a quick lunch. While the menu here isn’t as extensive as our other top choices (as it consists almost in it’s entirety of, you guessed it, fish and chips) it excels at it’s specialty. There’s often a line at Yorkshire County, and it’s for good reason. The line isn’t all bad though, it means you’re served up a fresh piping hot serving of those fish and chips hot out of the fryer every time. As a fish and chips enthusiast Yorkshire County Fish Shop is a do not miss meal for me! La Cantina de San Angel: I had a really tough time choosing the fourth restaurant for this blog post. With so many outstanding options I really could have put so many counter service restaurants in this spot and I still would have been missing out on some great options. Cantina de San Angel has the standard nachos and tacos, but I prefer the empanadas… and margaritas ;). The margaritas aren’t quite as good as the ones served in Mexico’s table service restaurants but if you’re looking for a nice refreshing fruity tequila beverage it still definitely fits the bill. 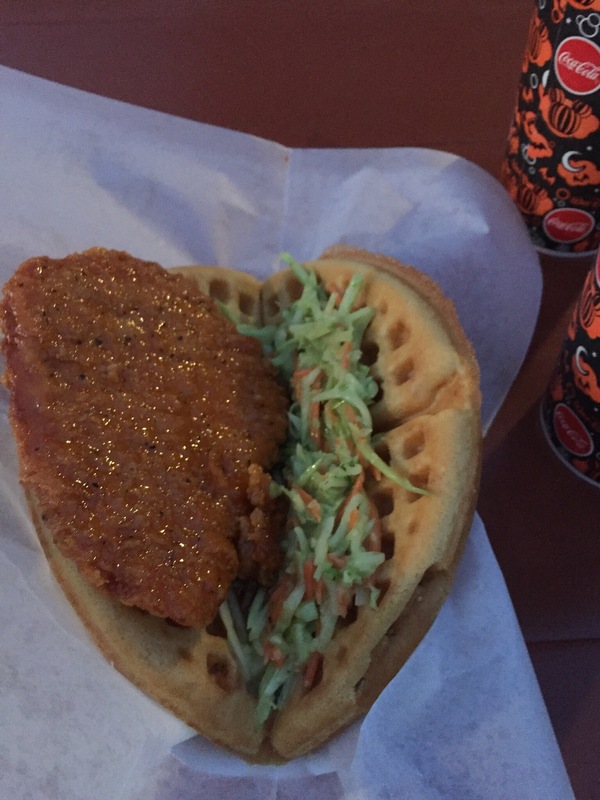 What is your favorite quick service restuarant at Epcot? Do you agree or disagree with my choice to include Mexico’s La Cantina de San Angel over another country in the World Showcase? Please, tell us about it! We’d love to hear your thoughts.